Over the last several years, more than a dozen local paid sick leave laws have gone into effect in New Jersey. While the local laws contain similarities, they are not identical, and they have created a patchwork of employee rights and employer obligations throughout the state. That all changes on October 29, 2018 when a New Jersey statewide paid sick leave law requiring employers to pay employees for up to forty hours of sick leave per year goes into effect. The new statewide law preempts all the local sick leave laws . Below are some aspects of the state’s paid sick leave law that New Jersey employers should keep in mind. Which employers are covered? There is no small business exception to the law. Therfore, all private employers in New Jersey will be covered under the law. Which employees are covered? Because the law has no minimum hours worked requirement, any employee working for a private employer will generally be covered even if the employee works a limited number of hours. The only employees not covered are per diem health care employees and employers performing service in the construction industry pursuant to a collective bargaining agreement. Additionally, if employees are covered by a collective bargaining agreement at the time the law goes into effect, the law does not apply to those employees until the expiration of the collective bargaining agreement. At what rate does an employee receive sick leave? A covered employee will generally accrue one hour of paid sick leave for every 30 hours worked. An employer can cap accruals and use of paid sick leave at 40 hours per benefit year. Likewise, an employer can limit the carryover of unused paid sick leave from one benefit year to the next to a maximum of 40 hours. As an alternative to the accrual method, an employer also has the option of frontloading 40 hours of sick leave on the first day of the benefit year. What if an employer already provides employees with paid time off? Is the employer required to provide additional paid sick leave under the new state law? No.An employer with an existing paid time off policy that meets the minimum accrual and usage criteria of the state law does not need to provide additional paid sick leave. When may an employee start using paid sick leave? Once the law goes into effect, an employee is eligible to use paid sick leave starting on the 120th calendar day after the employee starts employment. Thereafter, the employee may use paid sick leave as soon as it is accrued. Do employers need to notify employees about the new paid sick leave law? Yes. The Commissioner of the New Jersey Department of Labor and Workforce Development is required to issue a notice of employee rights. Once the Commissioner issues the notice, employers are required to post the notice and provide a copy of the notice to each employee within 30 days. For employees hired after the notice is issued, employers are to provide a copy of the notice at the time of hiring. Are there record keeping requirements? Yes. For five years, employers must retain records documenting hours worked by employees and paid sick leave taken. Employers are required to permit the Department access to those records. Looking ahead. 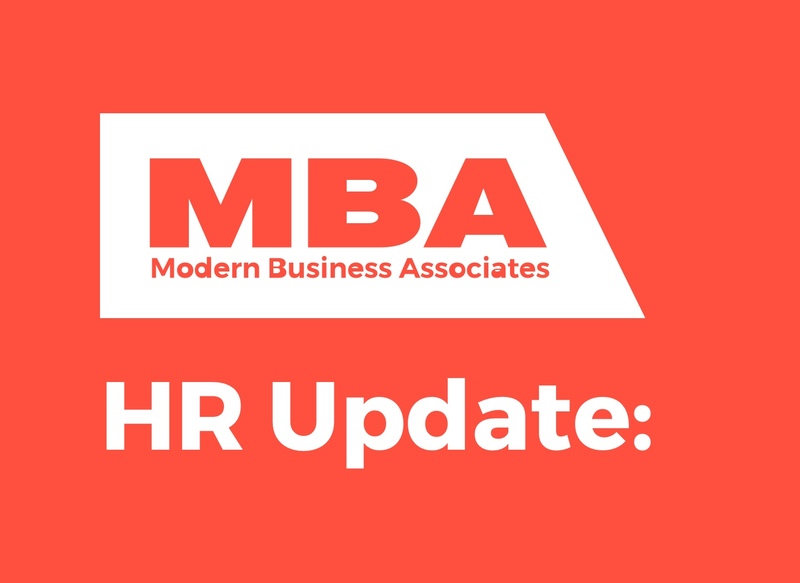 Between now and the law’s October 29, 2018. effective date, New Jersey employers will want to prepare for the new law and may want to review existing attendance and time off policies to determine if they need to be revised or replaced. Do you want to learn more about how New Jersey’s paid sick leave law affects your business? Please contact one of our HR Consultants at 888-622-6460.